Nike is still focusing on their Air Max category with some new colorway releases. 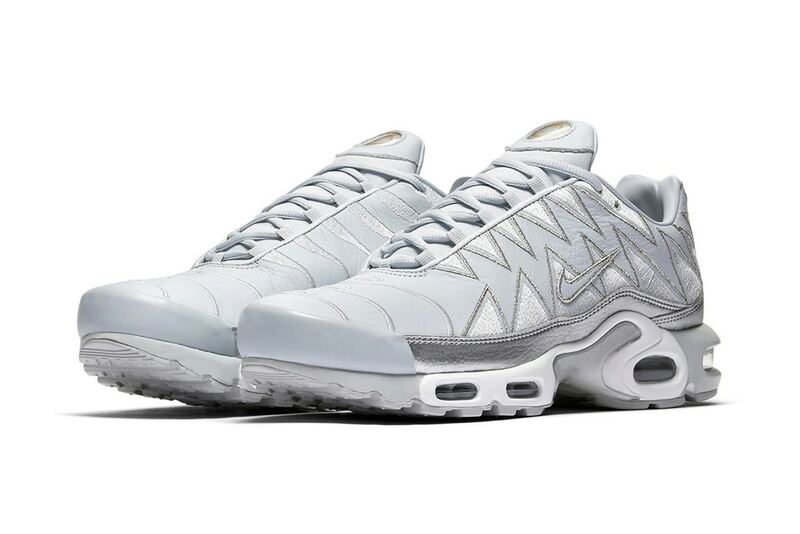 This newest model takes on the Air Max Plus and gives it a distinctive ’90s sneaker a zig-zag update feature that appears in a metallic silver colorway. This Air Max Plus model also features an embroidered zig-zag pattern where the usual wavy design is seen at the upper. The rest of the upper consists of pale grey leather, shimmery-silver embroidery, glittery mini Swooshes and a metallic silver leather mudguard. Dope or Trash?